It was that last bite of pizza. Or so Michael Smith thought. He figured his usual Friday night pizza delivery included his first-ever case of heartburn. “It was just a burning sensation right there,” he said, pointing to just below his sternum. But what the seemingly healthy 65-year-old Sevierville man didn’t know is that he wasn’t having heartburn – he was having a heart attack. “People came from everywhere,” said Osborn. “There must’ve been 15 people around. Some were putting IVs in each arm, some were putting those heart leads on, another one was on the phone trying to get a helicopter to transport him to Fort Sanders Regional, but it was too windy – thank goodness! It was like in slow motion – I was watching all these people like they were choreographed in a play. It was incredible to me. Then the doctor (Dr. Dennis Mays, a LeConte emergency medicine doctor) came in and he was, of course, listening to the heart. Everybody was doing a different thing. By 11:30 p.m., Smith was in the back of an ambulance, chatting with the emergency medical technicians as they raced to Fort Sanders Regional’s Emergency Department. Along the way, the EMTs were feeding information to FSRMC. Upon arrival at Fort Sanders Regional, he was wheeled directly to the cath lab where he was met by interventional cardiologist, Dr. Joshua Todd who had found Smith’s right coronary to be 100 percent blocked, requiring a stent. A day and a half later, Smith was discharged from FSRMC with instructions not to lift anything heavier than a gallon of milk for seven days. After the seventh day, he didn’t rest. 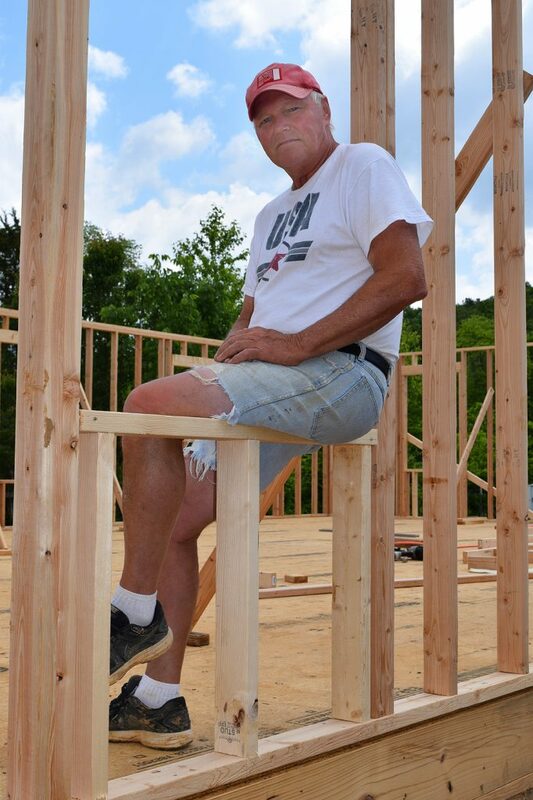 Instead, he returned to the task he was working on before his heart attack – building a three-bedroom, two-bath home which he and Osborn will “flip” in two years, something the couple has been doing for 17 years as they traveled throughout the United States. To learn more about comprehensive heart care at Fort Sanders Regional Medical Center, visit www.fsregional.com/cardiology, or call (865) 673-FORT (3678).